Like everywhere, parents in India demand the best possible education for their children. Today, Indian parents perceive that private schools offer a higher quality education than government-run schools. With the rise of urbanization and increasing per-capita income, more and more parents, including those from lower-income households, are choosing to pay to send their children to private schools. Many of India’s private schools are founded by passionate educators who share parents’ dreams of educational excellence for the children in their communities. Mrs. Uma Maheshwari, founder of Aakash Vidhyalaya School in Tiruppur, Tamil Nadu, wanted to use her own education to help others. For her and her students, quality education is the first step towards shaping a better world. There are currently 1.5 million K-12 schools in India. In 2015, approximately 300,000 of these were private, unsubsidized schools that served almost one-third of total enrollments (i.e. 80 million students). 94 percent of these students are in “affordable private schools” (APSs) which charge less than USD $31 (INR 2,000) per month in tuition fees. According to PwC research, with the increase in demand, the APS segment is expected to grow to approximately 410,000 schools serving 200 million students by 2022. Despite APSs being viable businesses with proven profitability, when these schools seek financing for infrastructure and other improvements, they are often unable to access loans from banks and other financial institutions. For example, when Mrs. Maheshawari applied for a loan to help offset costs for school bus fuel and building reconstruction, she was unable to provide the extensive documentation required. In such cases, insufficient operating funds result in decreased capacity. Therefore, while APS enrollment has been increasing due to perceived “quality,” lack of access to financing puts quality at risk. Varthana’s mission is to transform the quality of the APS sector in India. 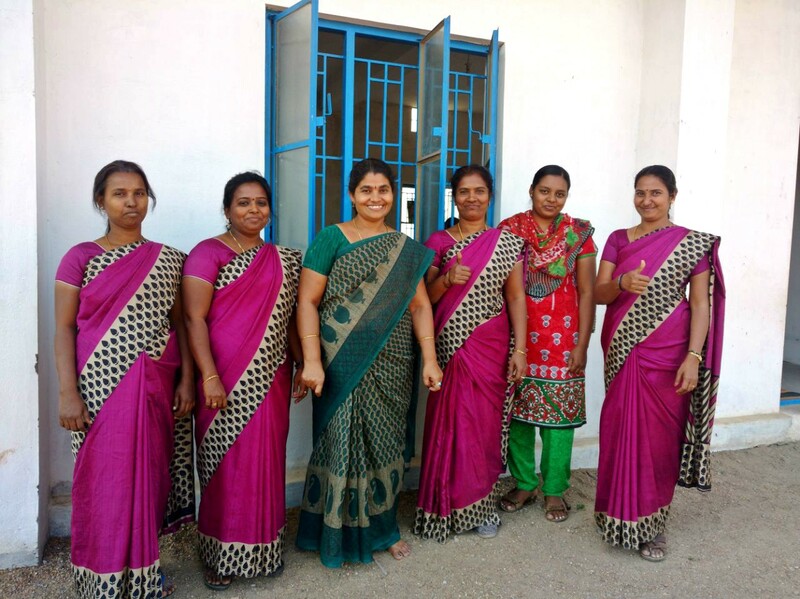 The financial services company provides short- and long-term financing to APS clients like Aakash Vidhyalaya School, helping them increase capacity or upgrade infrastructure. Schools may use Varthana loans to build new classrooms, improve computer labs and libraries, run teacher training programs, or fund similar projects. Mrs. Maheshawari used her loan to upgrade her building’s roof to comply with registration requirements. Varthana also offers other financial products, such as insurance. To further support its mission, Varthana goes beyond lending to offer a range of additional services that help APS clients improve education quality. One such initative is the School Transformation Program (STP). Participating schools run student assessments that give them detailed data on the quality of learning at their school. Based on the results, the schools are given specific improvement goals and rewarded to meet those goals with rebates of up to 5–10 percent. Varthana has also recruited a team of dedicated education specialists, or “STP fellows,” who work closely with APS clients to help them set and achieve their targets. This has helped deepen engagement between Varthana and its clients, and also helped pilot new education approaches in these schools. Mrs. Maheshawari has been delighted with Varthana’s continued support. “Varthana continued to stay by my side,” she says, “and little by little, helped me develop my school.” She enrolled Aakash Vidhyalaya School in the STP program, and ran competitions in spoken English, drawing, and other disciplines. Since implementing the program, she has seen a marked increase in students and teachers making a consistent effort to speak English in their classrooms. In response to client needs, Varthana has recently introduced a new initiative called the Integrated School Acceleration Program (iSAP). This program provides advisory services to schools to help them with financial planning and business growth. Consultants help schools understand the impact of market trends on school health, explore ways to improve the school’s profile, evaluate potential opportunities for expansion, and more. Led by a strong team, Varthana has quickly established itself as a market leader in APS lending and advisory support. With 25 branches across India, its client base currently includes approximately 3,500 schools that serve over 2.4 million students. As the company grows, Varthana’s offering continues to expand. By leveraging its vast network, Varthana has also become a distribution platform that connects schools with an ecosystem of education solution providers. On the client side, the company works with schools to evaluate their needs and recommend an appropriate (pre-screened) provider who offers a specific curriculum product. This generates valuable feedback on solution adoption, pricing and purchasing criteria, and the efficacy of solutions in market. On the partner side, the platform offers quality solution providers a cost-effective entry point to the APS market. For these partners, B2B distribution remains a key challenge to business growth. The Varthana platform serves as valuable infrastructure for firms to leverage and build successful business models. To achieve its vision, Varthana is now focusing on evolving its approach to technology. The company aims to integrate technology into its internal operations for greater efficiency and scale. It is also developing a consumer-facing application to provide more personalized services to its clients. Omidyar Network was an early stage investor in Varthana and we have continued our support over the years. The company has proven our original hypothesis that APS can be a viable market for lenders, and it has since played an important part in building this market. Given Varthana’s success, the APS lending sector is now generating interest from both impact and commercial investors. Varthana is also seeing new competition from larger, diversified non-banking financial companies (NBFCs). At Omidyar Network, we continue to be excited by the potential of financial services to drive improvement in education quality. In addition, we believe that Varthana’s education support services and ecosystem platform will go a long way towards addresing the many critical needs of APS organizations. The current round of financing provides growth capital to Varthana so that it may leverage its market leadership position and scale its financing and platform business models. We look forward to Varthana’s continued success in their mission to help APS clients like Mrs. Maheshawari improve the quality of education for millions of underserved families in India.